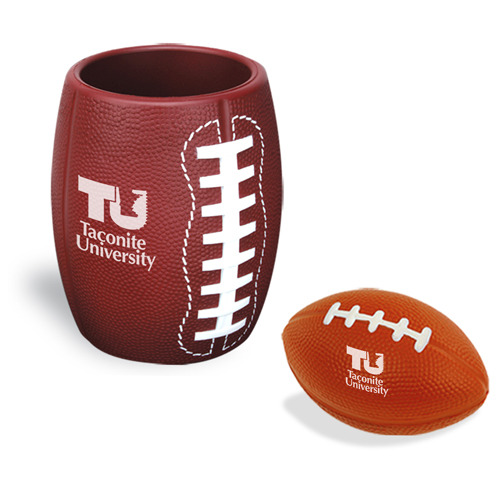 Combines the Football Can Holder with the Football Stress Reliever. Size : 2-1/2" diameter. stress reliever. Size : 3"w x 4-1/2"h can holder.